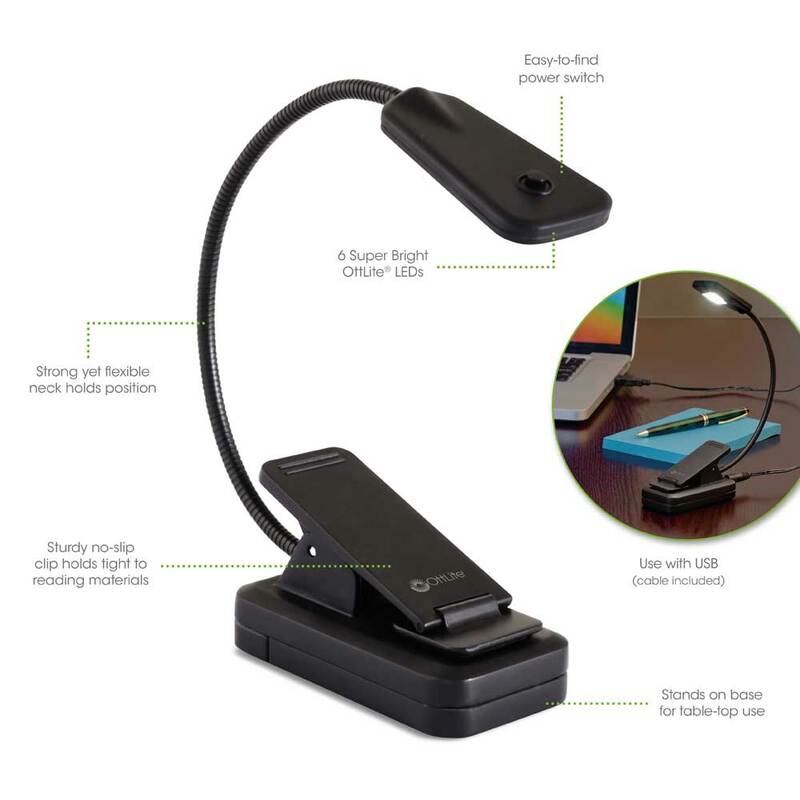 LED Desk Space Organizer/LED Book Light Combo Pack | 2 Lights At A Great Price! Two Best Selling Lamps - One Great Combo! We've taken two of our best selling lamps and put them together in one box. Save on this great combo! 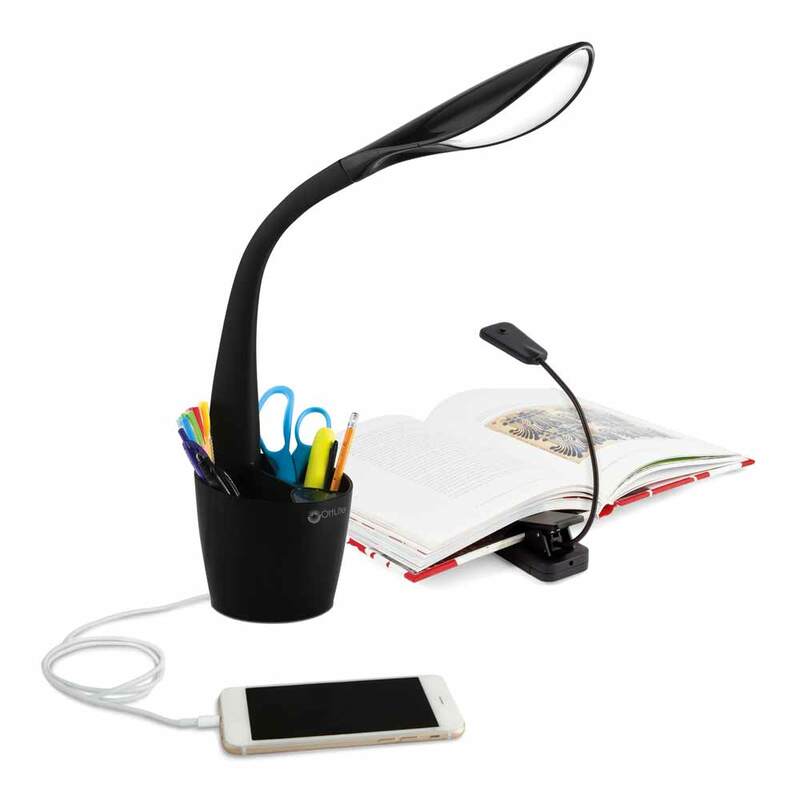 The LED Desk Space Organizer Lamp with USB lets you read with amazing clarity while keeping all your office supplies within easy reach. Organize scissors, pens, brushes and more in the partitioned pockets. Fully charge tablets, phones and other devices with the convenient 5V, 2.1 amp USB port located in the base of the lamp. The LED Book Light features super bright LEDs that illuminate your books and magazines. 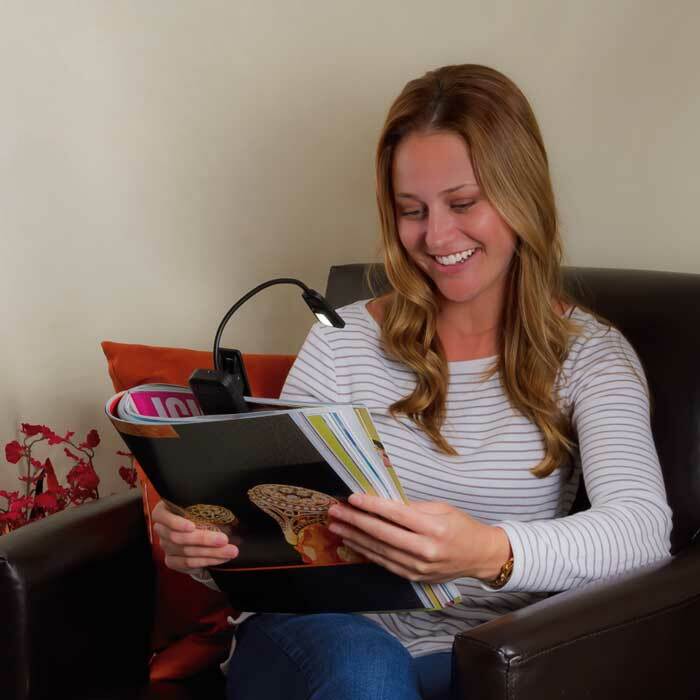 With a strong yet flexible neck, this handy light holds position to make reading easier. A sturdy, no-slip clip holds tight to books and the light can rest on its base allowing it to stand on a tabletop. 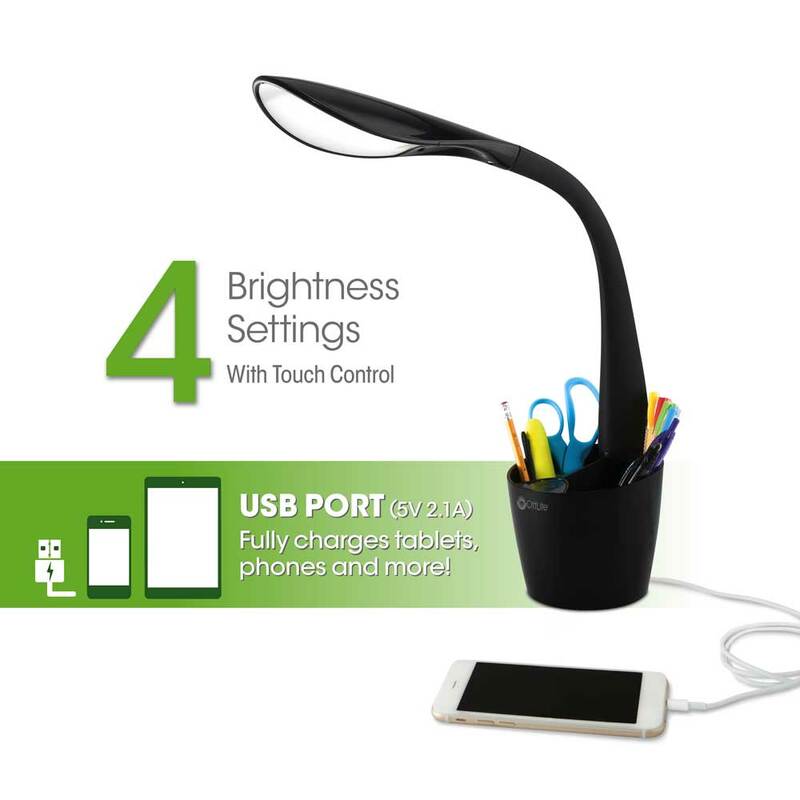 This light can be plugged directly into your computer with the included USB power cord, or powered by 3 AAA batteries (sold separately). 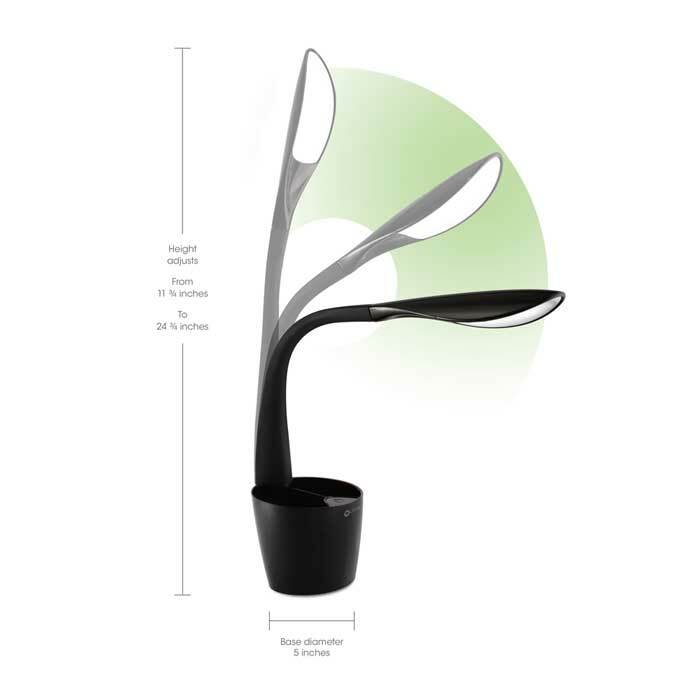 OttLite helps you see details clearly and reduce glare & eyestrain so you can do what you love, longer.